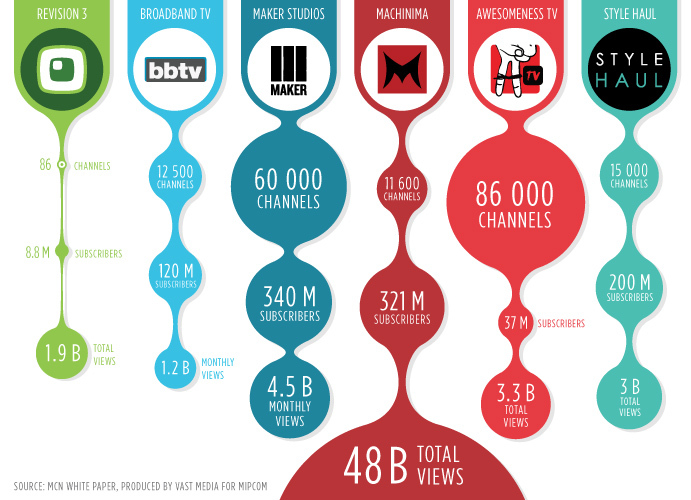 Multi Channel Networks, a term used for talent owned & curated content distribution agencies and predominately made popular by Maker Studios, Fullscreen, & Collective Digital Studios, has created a gold rush after the 2014 acquisitions of Maker by Disney, Fullscreen by Chernin group, and a 20% stake in Collective Digital Studios by ProSiebenSat.1. It seems like there is an MCN sprouting almost every other day with large content holders (studios) to small independent agencies buying into the trend. Most of these MCNs are predominantly attached at the hip to the popular video platform operated by Google. Their platform provides quick go-to-market deployment with free bandwidth, storage and destination site in return for revenue-share. While this seems like a good partnership in the early days, it is a raw deal for the MCN in the long term. Here are the large challenges that an MCN that is using their platform encounters. The Collective: Their platform owns the User & the Advertiser. The MCN plans the logistics, funds the talent to film the content and readies the asset for distribution. The MCN gets revenue share of some significance in the short term. The overall long term issue is that the MCN is insignificant without being part of the collective which that platform represents. This effectively means that the MCN will live or die at the mercy of this video hosting platform. The Pandora’s Box: MCNs spend a lot of money in terms of time and marketing to capture the eyeballs of consumers on social networks, and from their direct-to-user marketing list to bring traffic to the video platform for consumption of their content. However, once the user consumes the MCN’s content, the video platform leverages and offers cross promotional content that has nothing to do with the MCN’s content. This then means that the MCN drives traffic to the video platform and the video platform can redirect the traffic and monetize on other publishers’ content or its own content at will. This diversion is not only loss of immediate revenue for the MCN but potentially loss of the user. The diversion also lessens the integrity of the MCN’s brand. In order for an MCN to have a sustainable business. It needs to own the user and the traffic. In order to achieve this, the MCN needs to be in control of curation — Destination Site. However, this requires the MCN to rewire its strategy as well as its operations. Till this strategy revision is the done, every bit of coin the MCN mines will continue to be ambushed by the video platform.